Reuters news is reporting that a Chicago private equity firm is in talks to buy CareerBuilder for more than $1 billion. Citing anonymous sources, Reuters said GTCR, LLC. is in the process of finalizing a deal. The sources cautioned the negotiations weren’t complete and could end without a sale. Reuters said Tegna and Tribune Media declined to comment, while GTCR, CareerBuilder and McClatchy did not respond to requests for comment. Acquiring CareerBuilder, which was first put into play last fall, would complement GTCR’s other media holdings. They include Global Traffic Network, which provides content to broadcasts in exchange for ad space it resells. A second major media holding is Fairway Outdoor Advertising, one of the largest billboard companies in the U.S.
Tegna, with a 53% stake, is the former broadcast division of the Gannett Company. Tegna spun off Gannett and its newspaper holdings in 2015. The newspaper group kept the name Gannett. The McClatchy Company, a newspaper and digital news publisher based in California, owns 15%. The Tribune Media Company, owns a 32% share. The company, which, like Tegna, spun off its newspaper division, now owns a group of television stations, digital media, and other assets. It was only a month after Monster announced it was being sold to Randstad for $429 million that Tegna put CareerBuilder up for sale. The company also said it was spinning off another digital property, Cars.com. If the GTCR deal does go through for close to the $1 billion, it would represent a significant downgrade in the value of CareerBuilder. In 2006, when McClatchy first became a part-owner of CareerBuilder as a result of its acquisition of Knight-Ridder, the careers site was valued at $1.55 billion. Despite efforts to broaden its offerings and become more a full service HR recruiting provider, CareerBuilder hasn’t gained substantial traction outside its traditional job posting and resume business. Even there, it’s been overtaken by Indeed.com, which is the global leader in pure job search traffic. LinkedIn, too, has siphoned off much of recruiting’s passive search business. So successful did LinkedIn become, that Microsoft paid $26 billion to acquire it last summer. 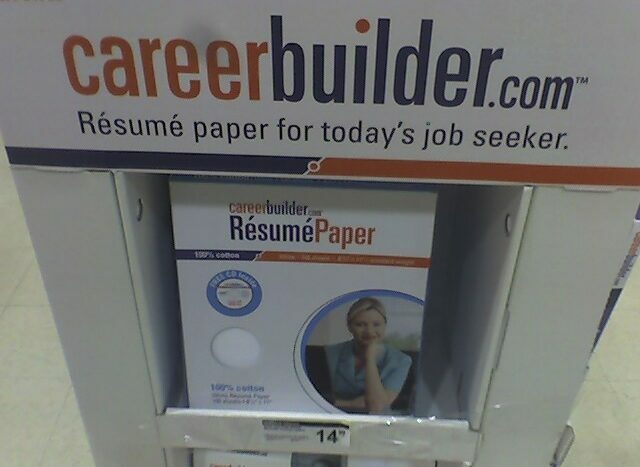 Coincidentally, Microsoft was once a part owner of CareerBuilder. As the job board industry has grown more crowded — Facebook now has a jobs posting service — it’s become increasingly more difficult to grow revenue and differentiate one service from another. Thus the pace of M&A activity has accelerated. In November, DHI Group, the parent of the IT careers site Dice.com, announced it, too, was exploring strategic alternatives.